Multiple customisable: i. e., replace the saddle, longer saddle tube, etc. The Kettler Ergo S6 convinces by its stable sports frame, an easy use, and a smooth concentric run. The exercise bike is equipped with two training modes: the speed-independent Auto mode and the Manu mode. In the Auto mode, the brake power is automatically controlled in order to keep the set Watt value. In the Manu mode, you set the brake level - the quicker you pedal now, the higher gets your performance. The "S" in the name stands for sports. Different to the Comfort model, the Kettler Ergo S6 does not have a deep step-through but a closed frame. That makes the exercise bike more stable and more intensive sessions can be done. When you have to stand upright on the bike, for instance, because you want to conquer a personal peak on your Ergo S6. The resistance of the Kettler Ergo S6 is generated by an extremely precise induction brake system. Two modes are available here: speed-independent and speed-dependent. In the speed-independent mode, you can set the resistance. Depending upon how quick you pedal, the brake power is increased or reduced. Hence, you can use the Kettler exercise bike Ergo S6 at home or even for therapeutical training. The resistance can be set from 25 to 250 Watt in 5-Watt increments. In the speed-dependent mode, you can set the brake level. However, the performance is no longer measured in Watt, but depends upon how quick you pedal. Hence, much higher performances than 250 Watt are possible, but these cannot be displayed. This mode, for instance, is idel to maximise your performance or to do a time-saving Tabata training on your exercise bike. The control of the exercise bike is quite easy: Using the central control knob, you choose the desired setting and a short pressing selects this one. You can quickly go through all menus and set time or resistance. The display indicates clearly all important data. For instance, you always control the current wattage and get the best point to evaluate the intensity of your training. The Advanced display of Kettler is equipped with four user memories. Every user can enter its personal data like age and weight. Hence, the performance data can be better calculated and the optimal heart rate zones for your training target are automatically calculated. In addition, every user can save its personal training programme and does a training he/she prefers. 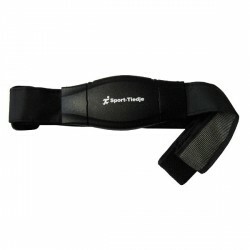 The personal training range is saved as well, that means it is indicated how hard-working you are! Furthermore, a guest mode is available on the Kettler Ergo S, which offers a quick access to the programmes. The Kettler exercise bike Ergo S6 is multiple customisable. The sitting height can be quickly changed. The horizontal position and the incline can also be quickly changed. Loosen a screw below the seat, find the perfect position, and tighten the screw again. When everything is perfect, you sit perfectly! 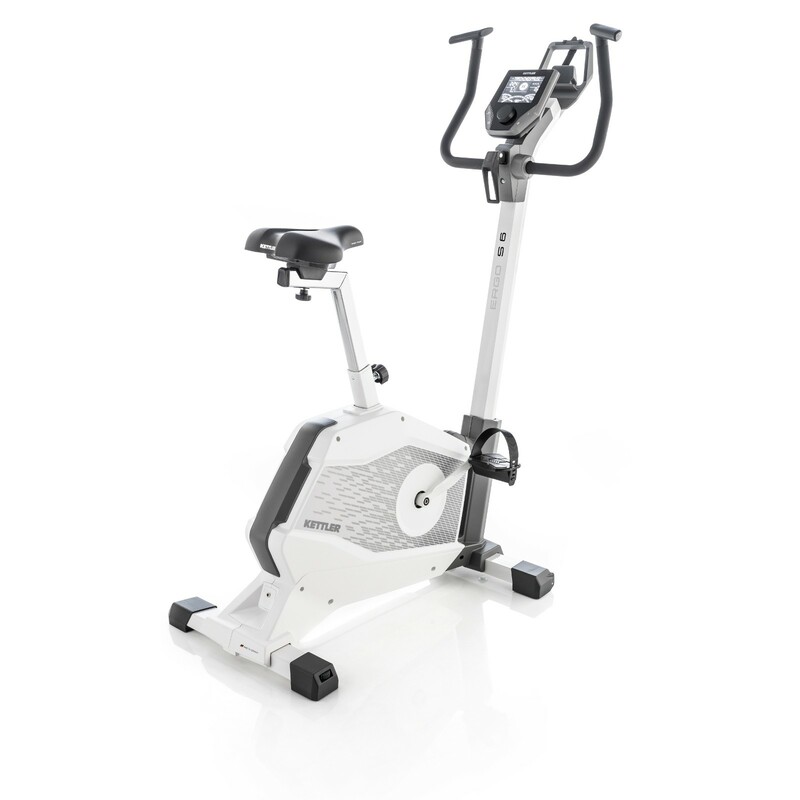 The Kettler Ergo S6 is equipped with the Basic Foam saddle as standard. It can be replaced by other saddles of Kettler or you can even use your own bike saddle. A cup holder, longer saddle tubes for very tall persons, and many more is available as separate accessory. Kettler cup holder In stock! Kettler exercise bike Ergo S6 add to comparison list.